Website der Künstlerin Eva-Maria Lopez | Nous serons ouverts après la révolution ! or "The absence of the things"
Nous serons ouverts après la révolution ! 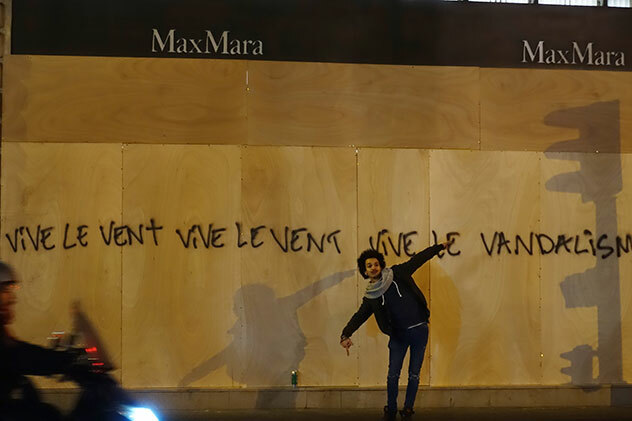 or "The absence of the things"
In the silence of the night – an expedition through the rue Saint-Honoré after the protest demonstration„acte IV“ 08. December 2018 and the morning after in the „Triangle d'Or“.